The future of the over-the-top (OTT) streaming video industry in the United States looks promising. 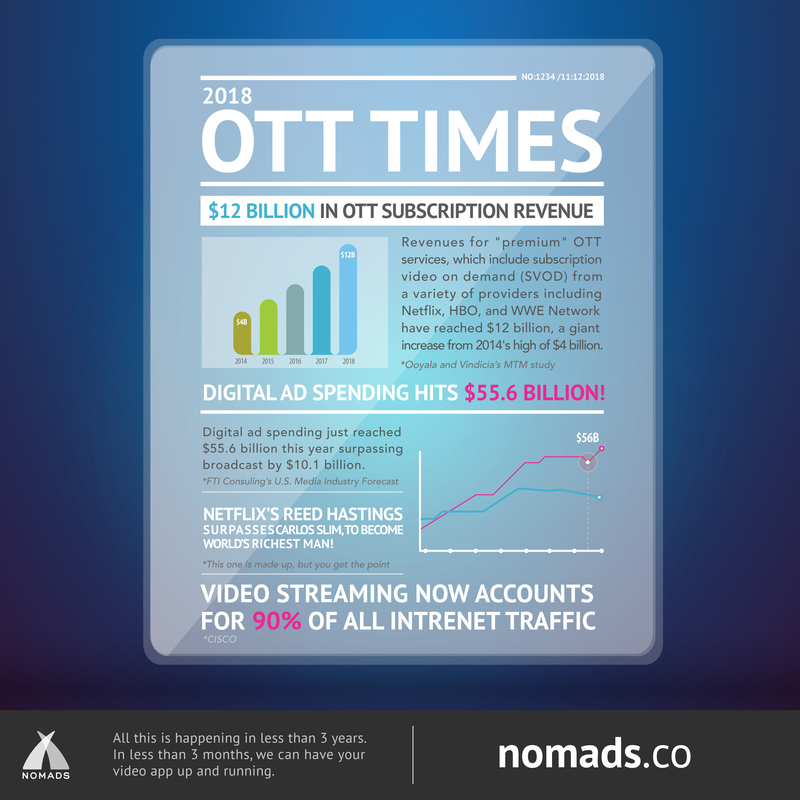 In their most recent study, Ooyala and Vindicia predict that OTT will grow from a $4 billion business in 2014 to a $8 billion to $12 billion business by 2018. The report also points out a window of opportunity for niche OTT services including sports, kids, foreign shows and movies, ethnic content, and services created by individuals or celebrities, such as a politicians and comedians. The moment to develop and launch your streaming video application is now. We are proven experts in OTT application development, having engineered massively-scalable apps for the top US sports league and the nation’s leading broadcast provider. Contact our OTT application development team today to learn more about how we can aid you in achieving your business goals.